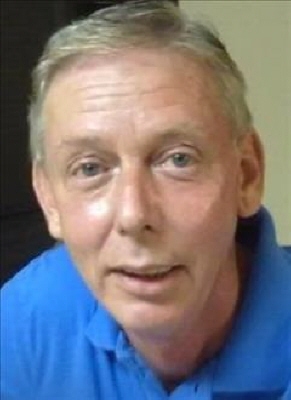 Stanley Dean Barnett, 58, of Athens, passed away Sunday, February 10, 2019. He was born May 31, 1960 to Byron James Barnett and Opal Faye Barnett. Stan worked in the auto body paint/repair business for 40+ years. He was preceded in death by his parents; and brothers, Michael Barnett and Marcus Barnett. Stan is survived by his wife, Sherry Pierce Barnett of Athens. He is also survived by Sherryâ€™s children, Lynette (Chris) Reynolds of Statham and their girls, Gracie and Cora, Cecily (William) Ables of Madison, MS, Cody Vincent and Lance Vincent, both of Athens; brothers, Kenneth (Doreen) Barnett of Resaca, Terry (Kim) Barnett of Hull, Danny Barnett of Athens; sister, Judy Nixon of Athens; and two additional stepchildren, Brittany (Eric) Higginbotham, David Sims; five additional step-grandchildren; and a host of nieces and nephews. The family will receive friends Monday, February 11 from 11 a.m.-1 p.m. at Bernstein Funeral Home. Funeral services will follow at 1 p.m. in the funeral home chapel. Interment will be at Belzoni City Cemetery in Belzoni, MS.
Bernstein Funeral Home is in charge of local arrangements. Mortimer Funeral Home in Belzoni, MS is in charge of arrangements in Mississippi. To plant a tree in memory of Stanley Dean Barnett, please visit our Tribute Store. "Email Address" would like to share the life celebration of Stanley Dean Barnett. Click on the "link" to go to share a favorite memory or leave a condolence message for the family.